Finland has one of the best gambling industries in the world. Finnish gamblers can legally wager on their favourite casino games at both land-based and online casinos, and make a bet at bookmakers online and off. Gambling is heavily regulated in the country, and while international companies cannot advertise within the country, they can accept Finnish players. We take a look at some of the best sites for Finnish slot players – and explain what we mean when we use the term pokies. ‘Pokies’ is another term for poker machines, which is the main name used by Australians for slot machines. The term ‘pokies’ is so popular since Aussies love to shorten everything, and a simple Google search will yield similar results as searching for slots. Since our site is based Down Under, you will find that we regularly use the term interchangeably with ‘slots’. We are still referring to the same 3 or 5-reel game with paylines or ways to win titles, we just prefer to shorten everything. Finland is the fifth gambling nation in the world and online gambling has been incredibly popular in the country ever since it was first introduced in 1996. Over the past few years, gambling revenue has become one of the biggest sources of income for the government. Given the country’s gambling status, several international operators have attempted to enter the Finnish market. However, the state has monopoly over online and offline gambling operations. Prior to 2017, the country operated under a three for one structure. RAY looked after the slots and table games, Veikkaus Oy ran sports betting, lottery, and instant win games, and Fintoto ran horse racing wagering. At the start of 2017, the three entities merged to become one state-run monopoly, known as Veikkaus. All revenue accrued from the gambling activities are put back into the country through science, arts, sports and education. There is also another gambling operator known as PAF. It looks after all gambling in the autonomous region of Aland Province. 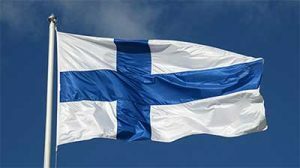 The state monopoly has been challenged several times, with the European Commission requesting that Finland update their gambling regulation to be more in line with EU laws in 2010. Finland has made few changes, and international operators still cannot get a license to operate in Finland. While state monopoly often prevails, Finnish online slot players can look overseas. Although international operators cannot advertise in Finland, they can accept Finnish players, without consequence for the gambler or operator. The government does not monitor Internet Service addresses, nor does it for financial institutions to block gambling transactions, so it is easy to play at a secure online casino based, for example, in the UK if you want more variety. It would be smarter for the Finnish government to open its market to international operators, however, it’s unlikely to happen anytime soon. However, you can still play the huge range of online slots from software providers all around the world. There are several options for Finnish players looking for interactive slot machines online. When choosing a site which operates outside of Finland, we recommend doing a bit of research to ensure it is secure. We have saved you some time and found the best online casinos, which are known for their slots catalogue, and listed them in the table above. We have picked a few of our favourites, which all accept euros, too. Rizk: – Rizk online casino is one of the best sites available on the web. It features a quirky theme and we are joined by the humorous character, Captain Rizk. It has a wide variety of online slots from all the best software developers in the online gambling industry. What makes the online casino so special is it has specific online casino promotions for Finnish players. Sign up to the online casino and click on the Finland flag to view the casino in Finnish and access all the exclusive online casino promotions. Slots Million: If you haven’t already guessed from the name, this online casino specialises in slot machines. You will find more than 2,000+ titles at Slots Million, all organised under a range of different categories. The handy search filter allows you to find games with specific features like free spins, bonus rounds, themes, software providers and more. You can also view the most popular slots, new additions, and more. Click on the Finnish flag to view the online casino in your language and get playing real money slots now. BGO: BGO online casino is another great choice for Finnish players. The site offers generous promotions, ranging from fair spins to once in a lifetime vacations. The online casino also features the Boss, who is played by Verne Troyer. If you’re a fan of Austin Powers, you’ll know that he is Mini-Me in the Hollywood blockbuster films. Other famous celebrities who have promoted BGO in the past include notorious poker player, Dan Bilzerian and Hollywood socialite, Paris Hilton. The online casino’s selection of online slots is also quite impressive, so there’s something for everyone at BGO. If you like the sound of these online casinos, create an account by following our links and make a deposit to get started. We explain how to below. After you have enabled the Finnish language at the slots site of your choice, you can create an account. All you have to do is enter a few details, which are protected by encryption technology. Once your account has been opened, you can head to the cashier and view the available payment methods. Finnish players can play in euros at the sites detailed above, and there is a range of online casino payment options, including credit and debit cards, web wallets, bank transfers, and more to choose from. Once you have selected your preferred payment method in the cashier, and complete the deposit process by following the prompts, you will be able to get playing. Most methods are instantaneous, though some can take a few days. Once the money is in your account you can pick a slot from the catalogue, play around with the buttons to adjust your bet size (or read the provided manual in the game’s information window) and get spinning. Finnish players looking to play real money slots online should visit our recommended online casino, Rizk, for exclusive promos and exciting games.